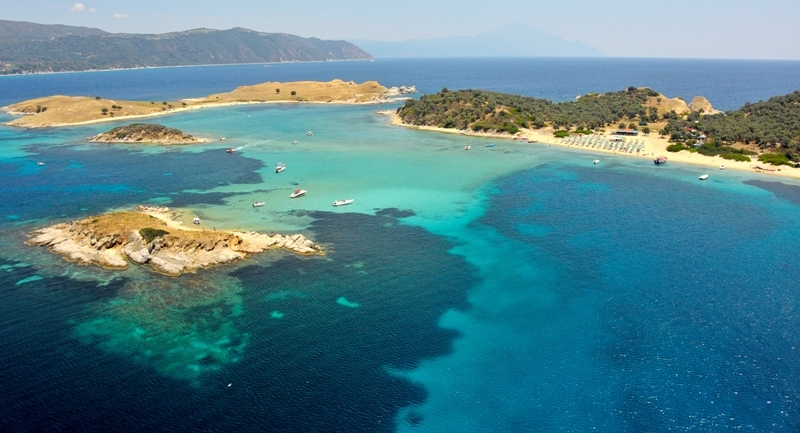 The 6 islands present beautiful sandy beaches, amazing blue waters and an enchanting landscape. 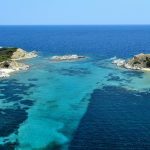 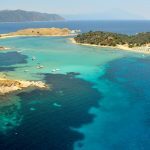 Drenia is a complex of little islets located opposite Ouranoupolis, about 2 miles away from the mainland and east of Ammouliani island. 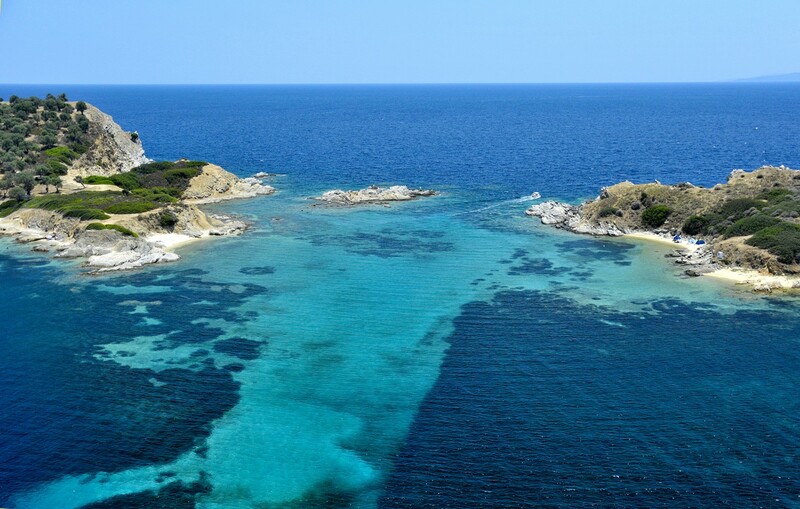 Drenia is the largest islet and Tigani, Pontiki, Feti, Penna, Artemis etc are the smaller ones. 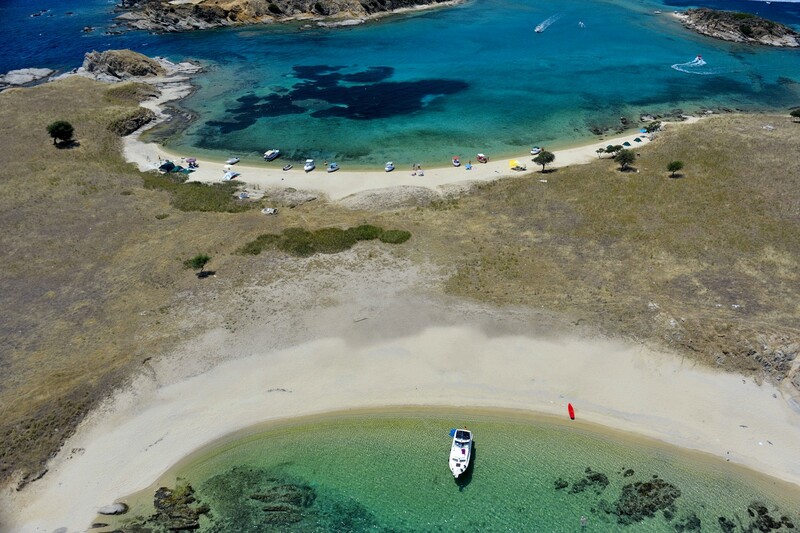 One will find only one organized beach with umbrellas, sun beds, refreshment stand etc. 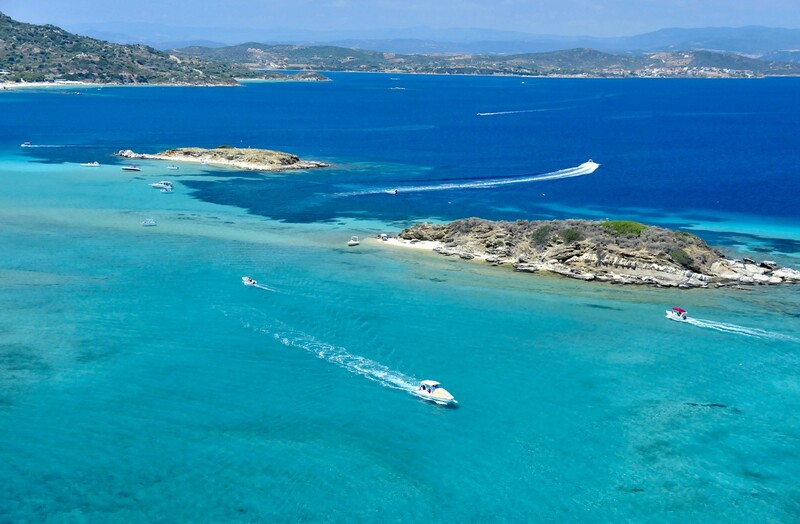 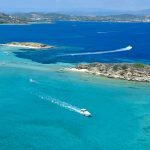 You can reach them by boat from Ouranoupolis (daily), rent a private boat (no license needed) or paddle your own canoe to explore every islet and its beaches one by one.